The Media Group Maritime Denmark and Bella Center Copenhagen have entered into a partnership to develop and host the International Maritime Fair – Danish Maritime Fair – in 2020 and 2022. The Danish Maritime Fair has existed since 2014 and the Media Group Maritime Denmark has been in charge of the event the four times it has been held. The next edition of the fair will take place on May 13 & 14 in close collaboration with Scandinavia’s largest exhibition and conference center, Bella Center Copenhagen. ”We believe that the Danish Maritime Fair is a trade fair with a lot of potential and we are excited about joining the fair and contributing our skills and knowhow”, says Malina Lebrecht Hye, the Exhibition Development Director at BC Hospitality Group, owners of Bella Center Copenhagen. Besides its state-of-the-art facilities, one of Bella Center Copenhagen’s best attributes is its location, with direct access to the highway, its own metro station and the proximity of central Copenhagen and Copenhagen Airport, the largest airport in the Nordic countries. Bella Center Copenhagen will be in charge of sales and project management for the next editions of the Danish Maritime Fair in 2020 and 2022, while Maritime Denmark will be responsible for overall marketing in Denmark and abroad, as well as publishing an elaborate fair magazine. 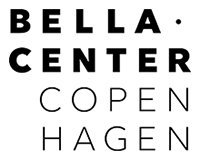 ”We look forward to working closely with Bella Center Copenhagen, and we anticipate great outcomes from this. With a multi-year contract regarding the development and organization of the Danish Maritime Fair, we are convinced the project is on the right track, so we can focus on working together to develop the fair even further”, says Rene Wittendorff, CEO of Media Group Maritime Denmark and initiator of the Danish Maritime Fair. What is more, the trade fair, the Danish Maritime Fair, will not stand alone. The event organizers are working on putting together a portfolio of Danish and foreign maritime meetings, conferences and workshops around the Danish Maritime Fair. ”We know from past experience that both Danish and foreign maritime organizations are interested in coming to Copenhagen to showcase their products and competences to an international audience. Copenhagen is the city that bridges the gap between the Nordic countries and the rest of Europe, and with Bella Center Copenhagen as the fair’s venue, the Danish Maritime Fair presents the optimal conditions for further development,” says Martin Uhlenfeldt, a Partner in the Media Group Maritime Denmark. ”It is of great importance to the Danish maritime industry that Denmark, being the great maritime nation it is, has its own home field in the shape of the Danish Maritime Fair”, says Torben Frerks, CEO of Weilbach, one of the world’s leading suppliers of nautical software and data. ”Weilbach has always been part of the Danish Maritime Fair and this will continue. We are excited to be part of the new setup in Bella Center Copenhagen”, says Torben Frerks. in a strong handshake with the world. Stay tuned on our favorite platforms.